The year is 2066 and the world is oblivious to the threat it faces. The fate of humanity lies on the shoulders of Burt Radcliffe, the new head of NASA’s Near Earth Object program. He’s been rushing the completion of DefenseNet, a ring of satellites that are both part of an early-warning system as well as the means to eliminate incoming threats. Yet Burt knows that despite the world's best efforts, nothing can be done about the alert he’s just received. Coming out of deep space is a danger that’s been approaching since the dawn of time. A black hole. An unstoppable threat that promises death for all in its wake. Dave Holmes was a modern-day Einstein. As the original architect of DefenseNet, he’d had visions of this Primordial Threat before he disappeared, yet he’d left behind no details on how the problem might be solved. Can Holmes be found, and if so, will his solution even work? The world has less than a year to find out. "Primordial Threat is a good combination of science and adventure fiction." "With Primordial Threat, Michael Rothman puts the OMG back in Science Fiction! Fascinating characters, an Asimov-sized plot, and lots of intrigue. Michael Rothman delivers. Chilling Science Fiction from a new Arthur C. Clarke. Movie-ready SF from a new master!" "Written by one who really knows the science, PRIMORDIAL THREAT zips along--a hard sf treat." - Gregory Benford, New York Times bestselling author of TIMESCAPE. "Michael Rothman's PRIMORDIAL THREAT is a big disaster novel -- maybe the biggest, with the end of the solar system in play. There goes the neighborhood! Filled with innovative science and big-scale action, it shows humanity in crisis, and humanity at its best." "It has been a long time since I've seen a novel with big mind-blowing hard SF ideas like this. It reminds me very much of Asimov, and that is very welcome indeed." "Who says hard science fiction is dead? The field is safe and sound in the hands of Michael Rothman. Real science from a real scientist -- and a thrilling page-turner, to boot. What more could one ask?" "A perfect blend of hard science fiction, disaster epic and thriller, this book will immerse you and keep you there till it ends. Then make you wish for a series." 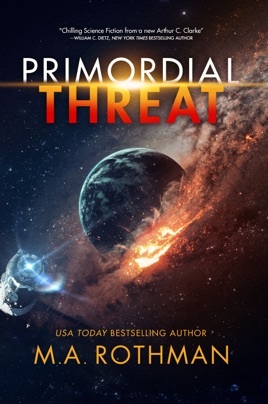 "Michael A. Rothman's PRIMORDIAL THREAT is a beautifully-conceived hard science adventure, with totally believable characters and events, and a truly satisfying conclusion." "Michael A. Rothman's PRIMORDIAL THREAT leverages real technical expertise to find the human drama in a plausible near-future extinction scenario. 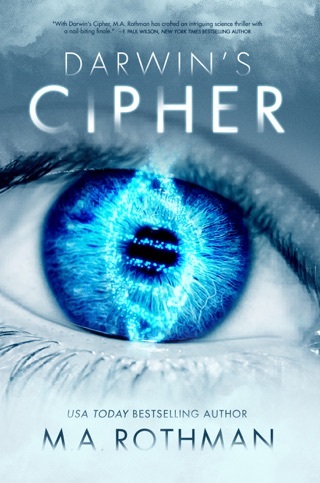 This is gripping reading, one part Larry Niven and one part Michael Crichton!" "The Primordial Threat is the Next Level in Extinction Event thrillers. Rothman deftly navigates actual science with a taut edge-of-your-seat tension that will scare you to death. I wouldn't be surprised if he wasn't already gaming Worst Case Scenarios for the White House." "M.A. Rothman has combined the high-frontier space realism of Kim Stanley Robinson, with the big ideas and cosmic scope of Larry Niven, and paced it all like a Michael Crichton adventure. 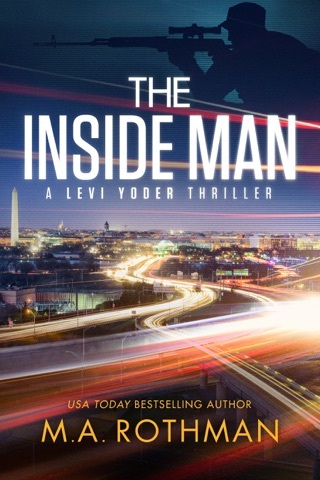 A terrific roller coaster ride, which hits the reader on several levels. Highly recommended." "... exciting sci-fi catastrophism ... call it The Day the Earth Certainly Didn't Stand Still. 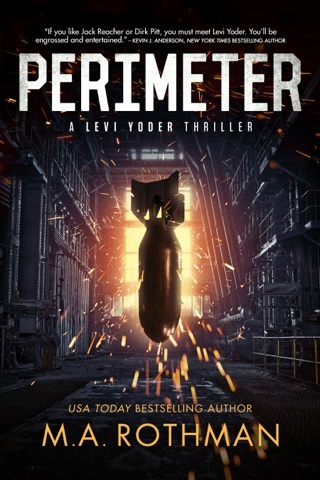 Rothman (Perimeter, 2018), an engineer, tackles the hard-science/apocalypse trope of a 'Very Bad Thing' threatening Earth in the tradition of Philip Wylie and Edwin Balmer's epochal When World's Collide and Larry Niven and Jerry Pournelle's Lucifer's Hammer." Wholesale extinction or narrow escape? Those are the choices in Primordial Threat, an exciting tale about the threat to future civilization from a traveling black hole on a trajectory for Mother Earth herself. Our intrepid heroes are all scientists who have one slim chance to save the planet from doom. A strong President mobilizes the world to fight the evil of religious fanaticism, hell bent on furthering the apocalypse, while brave scientists employ the laws of the universe to save mankind. I could not put it down before reaching the satisfactory conclusion. This book had me addicted from the first chapter. Well laid out and it really made sense. Nothing magical just good science working with earth. Life like parts like the Brotherhood sounds like a group today. Dirty tricks abound.